The French Army Museum (Les Invalides / the Military Museum) biggest draw is what lies under that dome – the tomb of Napoleon. The Tomb of Napoleon actually has two side chapels which contain the tombs of Joseph and Jerôme Bonaparte. This French War Museum is one of the greatest military museums in the entire world. It houses a fantastic assortment of weapons from different eras and gives information on the battles in France history, primarily concentrating on World War I and II. Between weapons and wars, the actual value of the museum is of course the tomb of Napoleon Bonaparte who's buried here. Admission is free, including entrance to Napoleon's tomb. http://www.parispass.com/paris-attractions/Museum-of-the-Army-and-Tomb-of-Napoleon.html - Free entry to the Museum of the Army and Tomb of Napoleon when you use The Paris Pass. 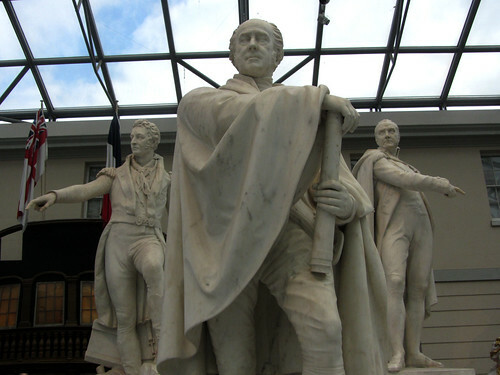 http://www.musee-armee.fr/en/collections/museum-spaces/dome-des-invalides-tomb-of-napoleon-i.html - The Dôme des Invalides, which contains Napoleon’s tomb, is the emblem of the Hôtel National des Invalides and an unmissable monument in the Parisian landscape.